Apple is clearly reaching out to the community of people who use Macs for work, after many of those people feared the company was losing focus on them. Today Apple said the whole iMac line is moving to Intel’s Kaby Lake processors. The iMacs will offer two USB-C connectors that support Thunderbolt. Fusion drives will be standard on all 27-inch iMac models. Apple says the whole line of iMacs will get big graphics bumps. The 21.5-inch models will get an Intel Iris Plus chip for graphics that are 80 percent faster than the previous generation. The 21.5-inch with 4K display gets a Radeon graphics processor that Apple says will boost graphics performance by up to 3X. 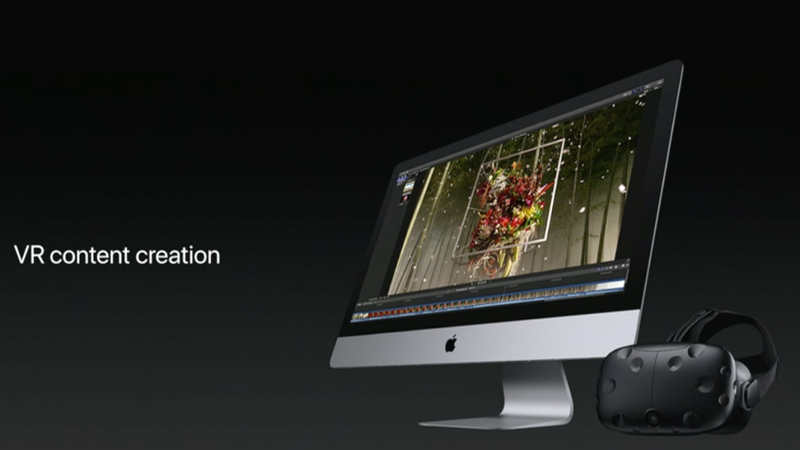 The 27-inch iMac gets a Radeon Processor with 8GB of computing power. The 21.5-inch model starts at $1,099, the 21.5-inch with 4K Retina display starts at $1,299, while the top of the line 27-inch starts at $1,799.